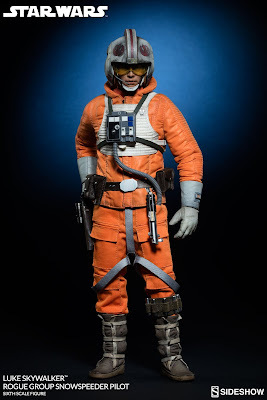 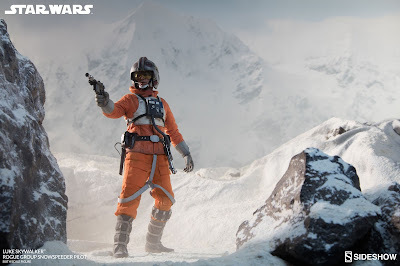 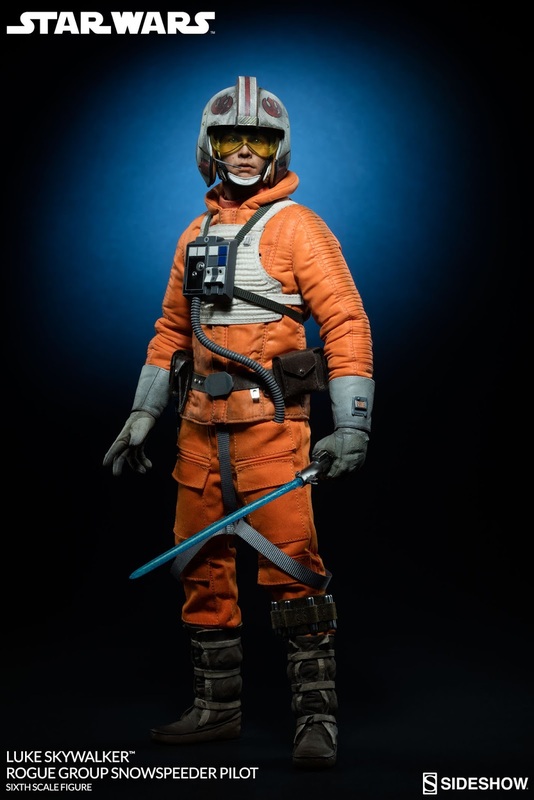 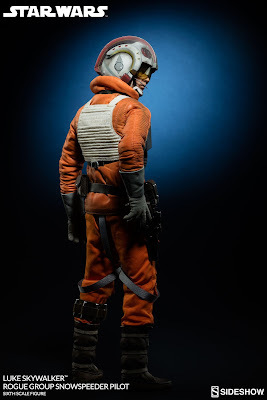 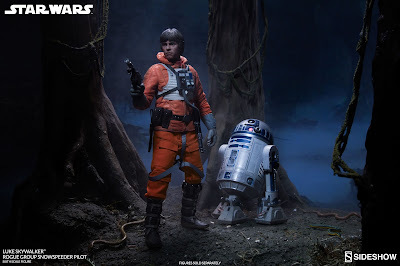 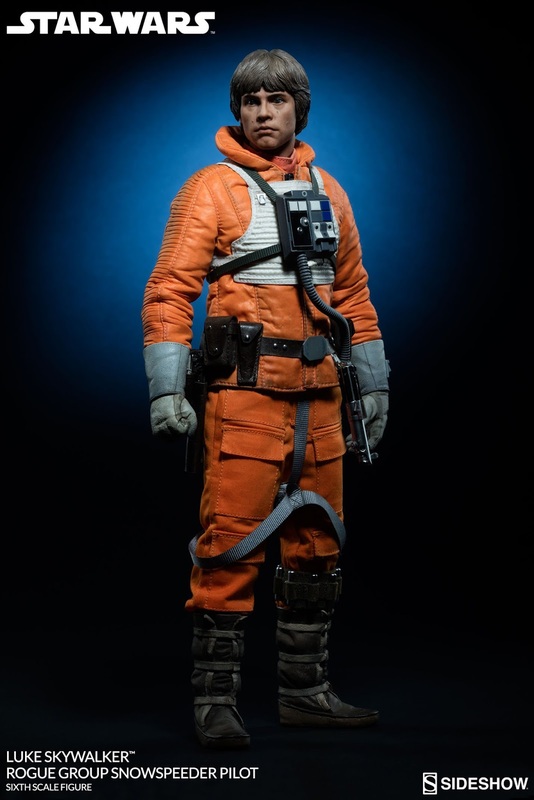 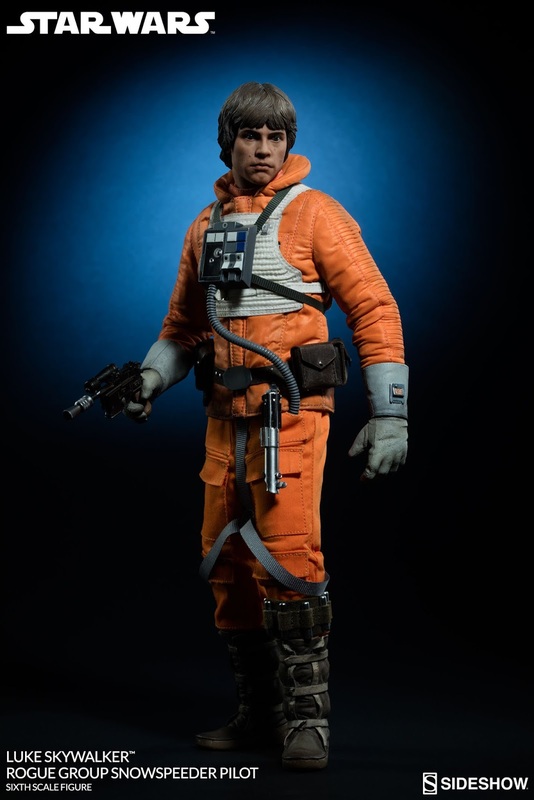 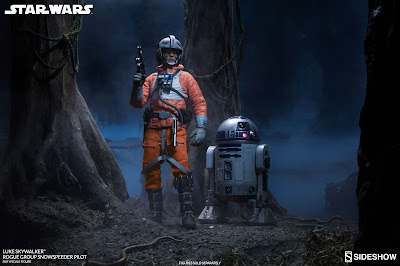 Hot Toys has been covering all the main characters (and the main looks) from Star Wars Episode IV, but maybe you'd like to fill in some of those gaps in your 1/6 scale Star Wars collection. 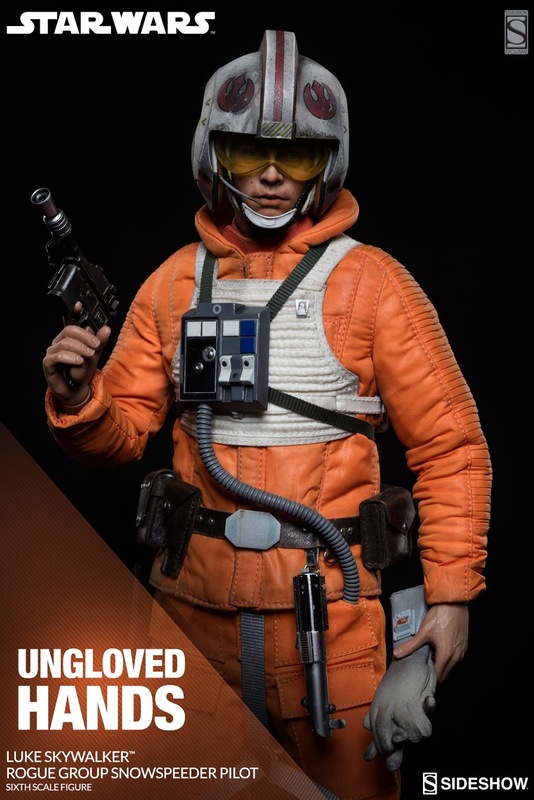 Well, if that's the case then Sideshow has got you covered. 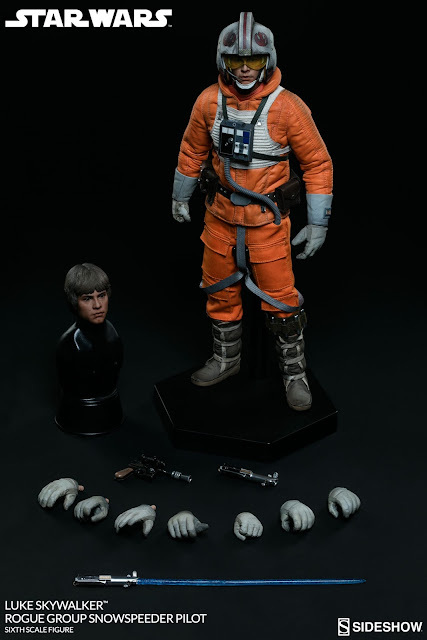 I'll tell you one thing, Sideshow has come a long way with their 1/6 scale Star Wars figures (and figures in general). 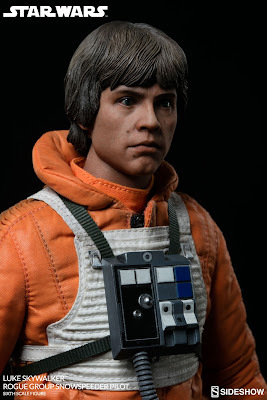 I collected the 12" Star Wars line in the beginning and found them a bit lacking, especially in the face sculpts and paint jobs. 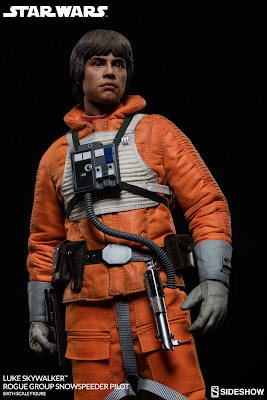 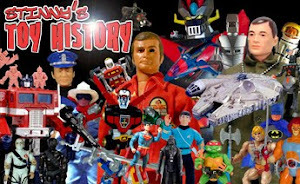 (Although it could have been just the bad paint jobs that were throwing off all the likenesses.) But, Sideshow has got themselves together quite a bit over the years, and while their figures aren't reaching quite the perfections that Hot Toys has found (despite Sideshow charging comparable prices), their figures could still easily fit in with your 1/6 scale Hot Toys Star Wars figures without anyone ever really noticing much of a difference. Just looking at this 12" Luke in Speeder Pilot Gear, you can easily see the quality that was put into every detail, and even the face sculpt is a fantastic likeness of Mark Hamill. 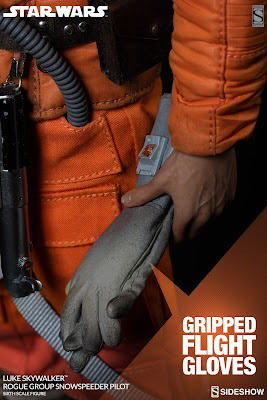 The Sideshow exclusive edition will include cloth gloves and a pair of glove holding hands. Look for Luke to be released somewhere between December of this year to Feb of 2017 for a hefty $269.99. 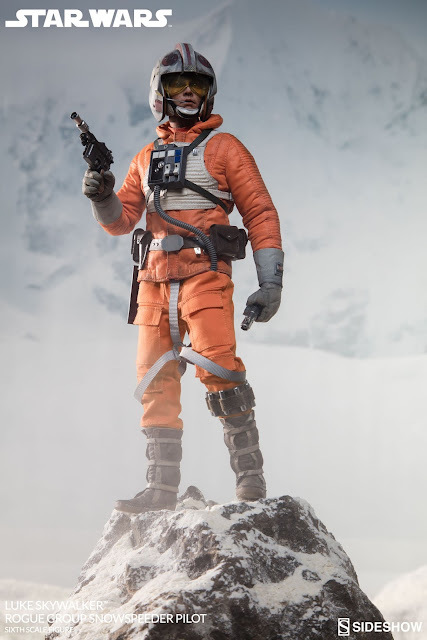 You can also pre-order him on Sideshow's web page here.